Majid Al Futtaim, a leading shopping mall, communities, retail and leisure pioneer across the Middle East, Africa and Asia has announced the acquisition of Beam Portal, the owner of leading UAE mobile wallet app, Beam. 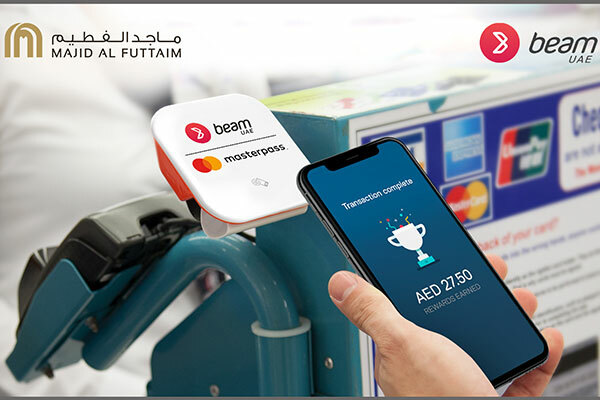 Set to become the digital payment wallet across all Majid Al Futtaim businesses, Beam enables the retailers to accept mobile payments and engage with customers directly through their smartphones. The payment and rewards platform, which already has a partner network of more than 2,000 stores in the UAE only, will enhance Majid Al Futtaim’s shopping experience, allowing customers to pay by phone, while earning cash back on their purchases. As part of the acquisition, Majid Al Futtaim will expand Beam’s offering across the region, enabling other retail businesses to benefit from its payment services. In addition, Beam recently launched in Majid Al Futtaim fashion and home retail stores in the UAE and will be expanded across all Majid Al Futtaim retail stores in 2019. The platform will enable various innovative solutions that will offer a seamless customer journey across Majid Al Futtaim destinations.